State Budget Cuts: Community Impact Series - Where are we at now? 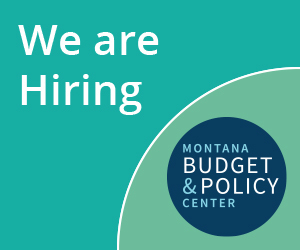 This blog is a part of MBPC’s on-going series to bring to light the impacts that state budget cuts have on the lives of everyday Montanans. Today we’ll provide an overview of where the state budget stands now, given recent events and revenue projections. To first take a step back, in November 2017, the legislative special session resulted in approximately $120.7 million in state general fund cuts to agencies. These were on top of cuts that were taken during the regular session and additional cuts triggered last summer. While the budget cuts have impacted nearly every part of state government from K-12 education to water monitoring, the Department of Public Health and Human Services (DPHHS) has taken some of the deepest cuts. When factoring in all actions taken during regular session and special session, the legislature has cut DPHHS general fund dollars by over $95 million. When lost federal matching funds are taken into consideration, the state has cut over $200 million in health and human services. Since January 2018, these cuts have resulted in hundreds of health care workers laid off or their hours reduced and entire organizations have had to close their doors, such as Sinopah House in Kalispell, Great Falls Youth Transition Center, Helena Industries, and seven case management offices of Opportunities Resources, Inc. Thousands of Montanans with developmental and physical disabilities, mental health needs, and substance use disorders have had their support and services reduced or eliminated altogether. Nineteen health and human service outreach offices closed in rural Montana counties, while one of the three “second chance homes” in Montana that help young moms and their kids stay out of the state’s foster care system closed down. The impacts have been far-reaching and have increased the financial burden to local property taxpayers, cities, and counties, as well as charitable organizations. While there is a mechanism in law to restore some of the funds to agencies, should revenue come in higher than previously projected, exactly how much and to what extent cuts will be restored is unclear. Revenue levels do appear to be coming in higher than what the executive projected last November. Senate Bill 9 from the special session dictates that if tax revenue exceeds a certain level by this summer, the executive must restore some of the funds back to agencies. The amount is prorated, based on the level of cuts taken in each agency. For DPHHS, the maximum amount that could be restored would be $ 30.5 million, but it won’t be clear exactly how much will go back until late July or mid-August. Exactly how funds will be used by agencies is also unclear – the executive branch will make those decisions, but no details have been released at this point. Last week, nursing homes and assisted-living facilities filed a lawsuit against the State of Montana, challenging the rate cuts for Medicaid reimbursements. The Bullock administration is complying with a judge's order to temporarily reinstate previous Medicaid reimbursement rates for nursing homes and assisted-living facilities. This decision is a temporary change and only impacts rates for these specific facilities and does not include provider rates for disability services. While restoring cuts to health and human services, as well as in public education and corrections, should be the legislature’s priority, it is important to remember that the final revenue picture for fiscal year 2018 won’t be solidified until July, and we do not know what revenue will look like yet for fiscal year 2019. Additionally, the federal tax bill passed in December 2017 could have consequences for state revenue collections. Regardless of where revenue stands at the end of this fiscal year, policymakers on both sides of the aisle need to come to the table to think through proposals to restore revenue. In the 2017 session, legislators proposed over 20 measures to raise revenue. These measures included creating a top income tax bracket that would kick in at income in excess of $500,000 and a proposal to eliminate the capital gains tax credit for millionaires. Unfortunately, a majority of Republican legislators blocked nearly all of these bills from coming to the House or Senate floor for a full debate. Now is the time to take another look at revenue, to lessen the need for cuts impacting Montana families, and ensure Montana continues to be a state where all families can live and work.